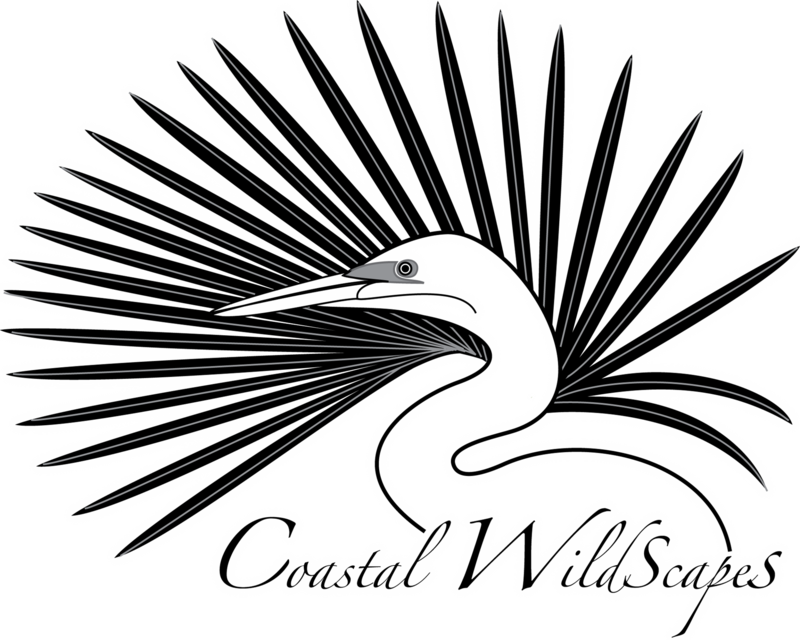 Coastal WildScapes - Master Birder's Series - Class is Full! Master Birder's Series - Class is Full! Calling all bird nerds: here’s your chance to sharpen your bird ID skills and learn more about the natural histories of birds that live along or visit Georgia’s 100-mile coast! Coastal WildScapes, One Hundred Miles, Coastal Georgia Audubon Society, and the Georgia Department of Natural Resources are pleased to announce our NEW Master Birder course starting in April 2018. The six-week series will provide birders of all backgrounds and skill levels with an introduction to ornithology, bird identification, and conservation efforts in coastal Georgia. 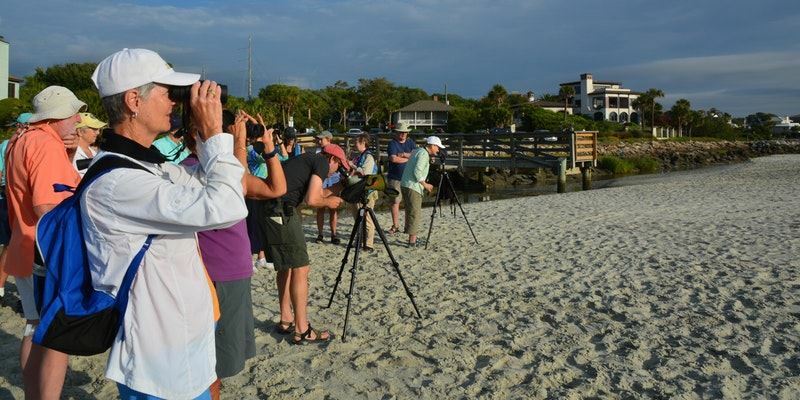 As a benefit to our inaugural participants, the Spring 2018 Master Birder course is being offered at a special reduced rate—don’t miss your chance to learn from the experts and explore coastal Georgia’s birding hot spots! The per-person course fee of $200 includes six interactive lectures, guided field trips, books, audio recordings, a course binder, and a graduation dinner. Student rates and scholarships are available. If you are interested in receiving a full or partial scholarship, please call (912) 222-3140 or complete the online scholarship application. Master Birder lectures will be held Tuesdays (7:00 pm - 8:30 pm) from April 10th to May 15th, 2018, in the Susan Shipman Education Building at the Georgia Department of Natural Resources in Brunswick (One Conservation Way, Brunswick, 31520). An informal final exam and group dinner will be held on Tuesday, May 22nd. Participants will choose from five coastal field trips, held on April 21 and 28, and May 5, 12, and 19. Following completion of the course, participants will be asked to become a member and complete at least 10 hours of volunteer service with one or more of the participating organizations (OHM, CWS, CGA, or GADNR). Classroom Lectures (7:00 pm - 8:30 pm): Participants are expected to make every effort to attend all lectures. For more information, please call Catherine Ridley, OHM VP of Education and Communications, at (912) 264-4111. Group size is limited to 20 participants, so early registration is encouraged. Dr. Eugene Keferl is a retired Professor of Biology. He has been watching birds for more than 40 years. Dr. Keferl has traveled to many parts of the world in pursuit of birds and has led birdwatching trips all over Georgia. He helps with the youth birding program TALON, presents at many birding festivals, and assists with several bird banding projects. Tim Keyes is a wildlife biologist with the Georgia Department of Natural Resources’ nongame conservation section. After getting hooked on birds during a trip to Newfoundland during college, he has worked with birds in one capacity on another for 22 years. Tim completed his master’s degree at the University of Georgia in 1999 studying forest songbirds in the southern Appalachians. Tim has worked for the Georgia Department of Natural Resources since 2000 and currently works on the Georgia coast as the nongame bird biologist. He established and organizes the Youth Birding Competition and was an editor on Georgia’s Breeding Bird Atlas. Tim’s current responsibilities include management, monitoring, and education primarily relating to shorebirds, seabirds, swallow-tailed kites, and wood storks. Eamonn was born and raised in Huntsville, Alabama earned a BS in Horticulture (2000) from Auburn University. He worked at the J.W. Jones Ecological Research Center at Ichauway and the USGS in Idaho before attending graduate school at Utah State University, where he obtained an MS in Plant Ecology (2007) with a focus on invasive species. Eamonn currently works as a biologist with the Georgia Department of Natural Resources and sits on the Conservation Task force for Cannons Point on Saint Simons Island, chairman of Coastal WildScapes, chairman of the Coastal Georgia Cooperative Invasive Species Management Area, vice chair of the Savannah Pest Risk Committee, treasurer for the Georgia Exotic Pest Plant Council, and secretary for the Coastal Plain Chapter of the Georgia Native Plant Society. Bob Sattelmeyer is a retired educator who has been avidly birding the Georgia coast for more than 15 years. He coordinates and leads field trips for Coastal Georgia Audubon and the Georgia Ornithological Society. Whether Lydia is talking about, writing about, or drawing birds, her major focus is to intertwine her bird studies and art. Lydia earned her Bachelors from Mississippi State University. After college she worked in advertising for seven years as a designer. While working she found an etching studio and started learning more about her chosen medium. Realizing that that advertising was not for her, she took some time to travel and learn about birds and drawing. She traveled for more than 38,000 miles and identified 560 species of birds in that year of travel and study before later settling in the Golden Isles of Coastal Georgia. Lydia is a popular columnist for the Jekyll Island Golden Islander newspaper and Golden Isles Magazine. She leads birding tours on Jekyll and is a Wild Birds Unlimited, Certified Bird Feeding Expert. In 2016, she was awarded the Georgia Ornithological Society’s Earle R. Greene Memorial Award for her bird conservation work.